I know I already tweeted where I'll be headed next year, and if you're friends with me on Facebook you've also seen the news there. 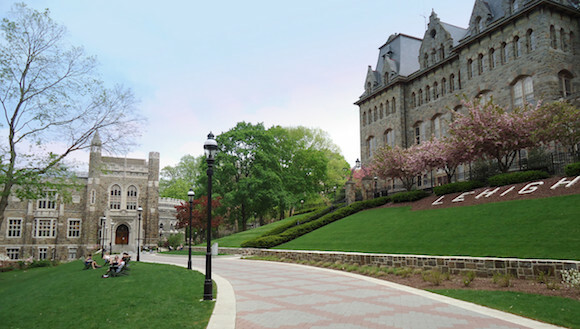 However, I am so excited to officially announce on the blog today that I will be a member of the Class of 2020 at Lehigh University! 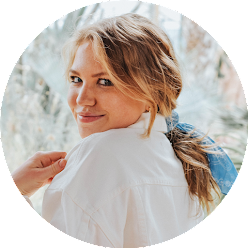 I didn't talk too much about my college application process on the blog, simply because for me, I was lucky enough that it wasn't really a process at all! I knew ever since I visited Lehigh in February that it was my first choice, and I would be applying Early Decision (which is a binding commitment), so if I got in, I would go. It was a little nerve-wracking and stressful at times when I would start to feel super overwhelmed and convince myself that I wasn't going to get in and I would have nowhere else to go, so I applied to two other schools, making three total. It's kind of funny to see some of my friends applying to 15 or even 20 schools, when I knew the whole time there was only one place I really wanted to go. My second choice was Holy Cross in Worcester, Mass, but I never even applied because I knew I would be finding out about Lehigh with enough time to still apply to Holy Cross after if I'd been accepted. My search was interesting because I knew exactly what I wanted in a school, I just needed to find the one. 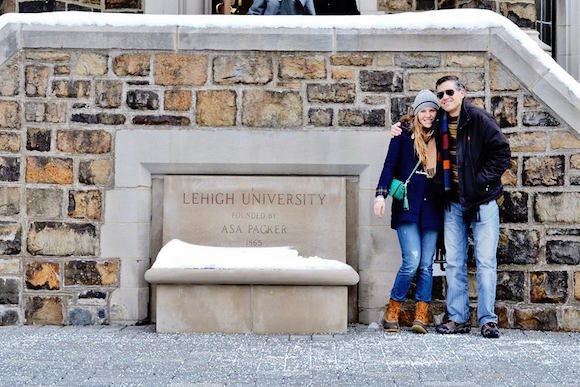 I had the feeling from the moment I stepped onto Lehigh's campus that it would be where I ended up, and it sounds cliche, but I am so glad I was right! Between the Ivy covered buildings and old architecture, and preppy students sporting Sperry's and RL to class, it really felt like somewhere I could see myself. I wanted a school between 5,000 and 7,000 undergraduate students (on the smaller side), on the East Coast, with Greek Life, and a strong business school given that I intend to major in Finance with a double minor in Marketing and French. Lehigh is best known for finance, so that worked out well! I found out about a month ago when I was studying with my boyfriend during exam week and it was seriously one of the happiest moments. There were instant tears and it felt like a dream come true. After days of stressing, basically panicking, and constantly refreshing the online portal, among a few emails and phone calls inquiring when the decisions would finally be posted, and it was so worth it. I am so excited to start this new chapter in my life and I am so grateful for all of the people who have supported me and for all of my educational opportunities that I am so lucky to have! Can't wait to share all of the brown and white memories I'll make throughout the next four years. You can see my photos of Lehigh and original post about the school here. Congrats! That is so exciting! Ca't wait to see more in the future! Congratulations!! Getting in your dream school is a huge accomplishment! Congrats Frannie! I'm so excited for you. College is truly amazing and I know you will have an incredible experience! Congratulations, Frannie!! That is so exciting and probably a relief to know where you're going! Lehigh is an awesome school and I can't wait to hear more about it! Congrats Frannie, I'm so happy for you! This is so awesome! Congratulations, Frannie! Congrats Frannie! Can't wait to read all about your experience in college! Hey girl! I was Googling Lehigh and stumbled upon your post. My brother is going there this fall as well for their Integrated Business and Engineering program! Congratulations on Lehigh, and best wishes in PA this fall!